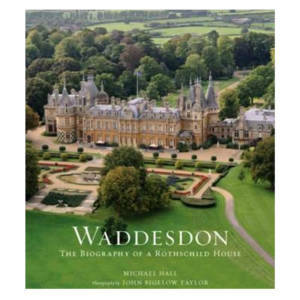 £35.00 More info & buy	In 1957, James de Rothschild bequeathed Waddesdon Manor to Britain's National Trust. Since that time, the Manor and its spectacular gardens welcome more and more visitors every year. Now, this lavish book allows readers everywhere the opportunity to enjoy this unique celebration of le style Rothschild. 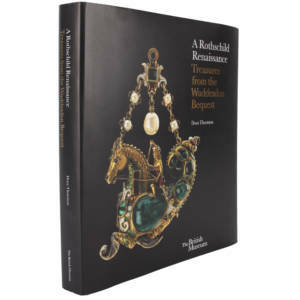 £30.00 More info & buy	The Rothschild's were among the greatest collectors of the nineteenth century, seeking not only the finest craftsmanship in their treasures, but also demonstrating great discernment and a keen sense of historical importance in selecting them. Baron Ferdinand's aim, often working in rivalry with his cousins, was to possess a special room filled with splendid, precious and intricate objects in the tradition of the courts of Renaissance and Baroque Europe. So successful was he that he was able to leave to the British Museum a collection which could have come straight from the treasure house of a German-speaking prince of the Renaissance. This sumptuously illustrated book unlocks the history and romance of this spectacular collection by looking at some of its greatest treasures and the unique and intriguing stories they tell. It will introduce makers and patrons, virtuoso craftsmanship, faking and the history of collecting from the late medieval to modern periods, as told through objects in the Bequest. Treasures include masterpieces of goldsmiths' work in silver, jewellery, hardstones and engraved rock crystal; astonishing microcarvings in boxwood; painted enamels, ceramics and glass; arms and armour and 'curosities': exotic treasures incorporating ostrich eggs, Seychelles nut or nautilus shell. By looking at individual objects in detail, and drawing on new research and stunning new photography, the book will enable readers to see and understand these beautiful and fascinating objects in a completely different light. 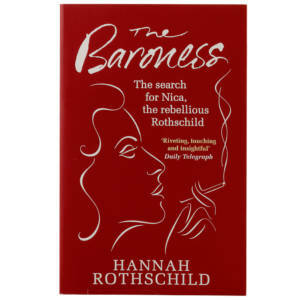 £9.99 More info & buy	A Rothschild by birth and a Baroness by marriage, beautiful, spirited Pannonica - known as Nica - seemed to have it all: children, a handsome husband and a trust fund. But in the early 1950s she heard a piece by the jazz legend Thelonious Monk. The music overtook her like a magic spell, and she abandoned her marriage to go and find him. Arriving in New York, Nica was shunned by society but accepted by the musicians. They gave her friendship: she gave them material and emotional support. Hannah Rothschild’s search to solve the mystery of her rebellious great aunt draws on their long friendship and years of meticulous research and interviews. It is part musical odyssey, part dazzling love story. 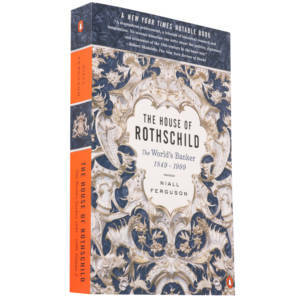 £14.99 More info & buy	The House of Rothschild chronicles the family's rise and fall, and now its rise again, and describes the reasons for its lasting power. 'Part of the secret of long-run success in banking is, of course, not to go bust; the Rothschilds' relative risk aversion is one reason for their financial longevity', writes author Niall Ferguson. 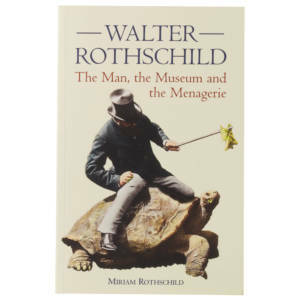 £12.99 More info & buy	His extraordinary life traversed the fields of politics and finance as well as zoology and it was packed with achievements and incident, from the establishment of his own private museum to driving a team of Zebra into the forecourt of Buckingham Palace. With the help of evocative photographs Miriam Rothschild has produced a compelling narrative which reveals the complexities and conflicts that this remarkable man faced during his life. Miriam Rothschild was the niece of Walter Rothschild, she died in 2005. 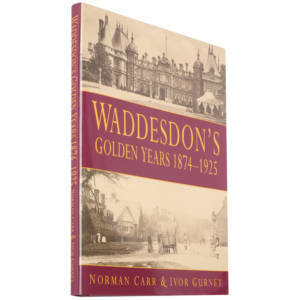 £12.50 More info & buy	This hardback, 170 page book by local residents Norman Carr and Ivor Gurney is packed with fascinating photographs and accounts of village life. 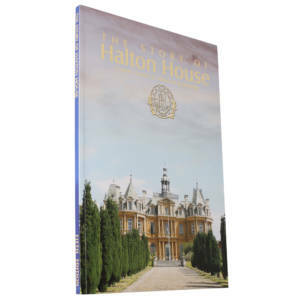 £10.00 More info & buy	A fascinating account of Halton House and the life of its creator, Alfred de Rothshild. £8.99 More info & buy	Annie McDee, alone after the disintegration of her long-term relationship and trapped in a dead-end job, is searching for a present for her unsuitable lover in a neglected second-hand shop. Within the jumble of junk and tack, a grimy painting catches her eye. Leaving the store with the picture after spending her meagre savings, she prepares an elaborate dinner for two, only to be stood up, the gift gathering dust on her mantelpiece. But every painting has a story - and if it could speak, what would it tell us? 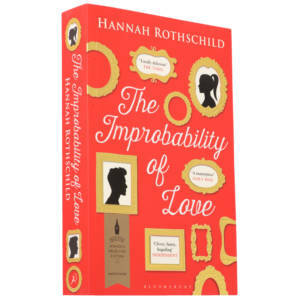 For Annie has stumbled across 'The Improbability of Love', a lost masterpiece by Antoine Watteau, one of the most influential French painters of the eighteenth century. Soon Annie is drawn unwillingly into the art world, and finds herself pursued by a host of interested parties that would do anything to possess her picture. For an exiled Russian oligarch, an avaricious Sheika, a desperate auctioneer, an unscrupulous dealer and several others, the painting symbolises their greatest hopes and fears. In her search for the painting's true identity, Annie will uncover the darkest secrets of European history - and in doing so, she will learn more about herself, opening up to the possibility of falling in love again.